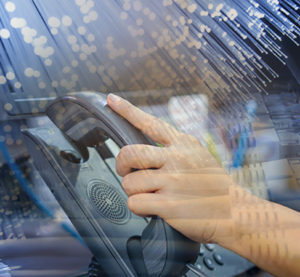 Conterra Networks is transforming the way businesses operate by providing bundled phone services with our fiber-optic network services to help you grow and profit from the best cloud-based business VoIP services. Our services are designed for all-sized businesses with voice solutions from business phone lines to SIP trunking services. What should I expect from a Voice Solution from Conterra? Our cloud-based voice platform provides organizations leading-edge services that make your business more efficient. Bundled with our fiber-optic network, you have the assurance of an enterprise-grade voice solution. Want to keep your existing phone system (PBX) and phone sets? Trunking Services are an economical and feature-rich replacement for traditional phone company services such as PRIs and T1s. Are you a smaller business with individual phone lines and phone sets you want to keep? We can help. Benefit from enterprise-class technology on a small-business budget with features like hunting, voicemail, unavailable call forwarding and more! If your business is looking for advanced communications that allow mobility options that seamlessly integrate your offices and remote mobile employees, our private cloud-based hosted voice service is ideal for your business. Our scalable redundant solution improves productivity and is cost effective for any sized business. No longer will you need to worry about obsolescent communication systems, maintenance or reliability. Our solution will grow with your business. Advanced features include Mobility applications, auto attendant, conferencing services, music-on-hold and over 30 additional features. Learn more here.